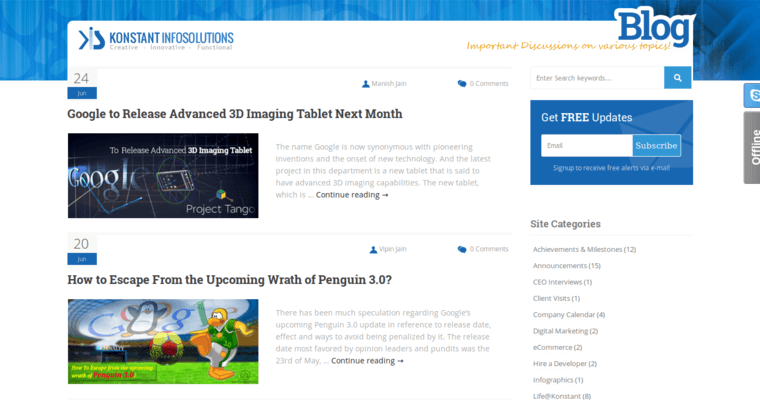 Developed in 2003, Konstant Infosolutions is a web design firm offering various web and creative services. 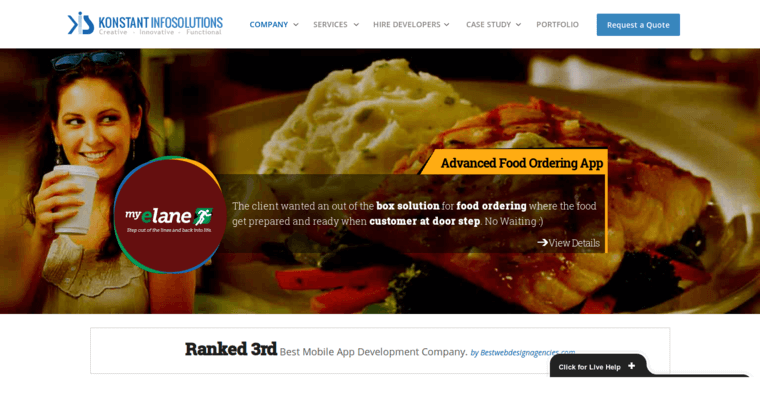 Not only does Konstant Infosolutions offer web design and development services to its clients, but it's also known for its e-commerce solutions, mobile and web applications, SEO services, and enterprise solutions. Konstant Infosolutions caters to both small and large scale businesses, and it operates using a model based off of project management to deliver state-of-the-art projects and services to clients. 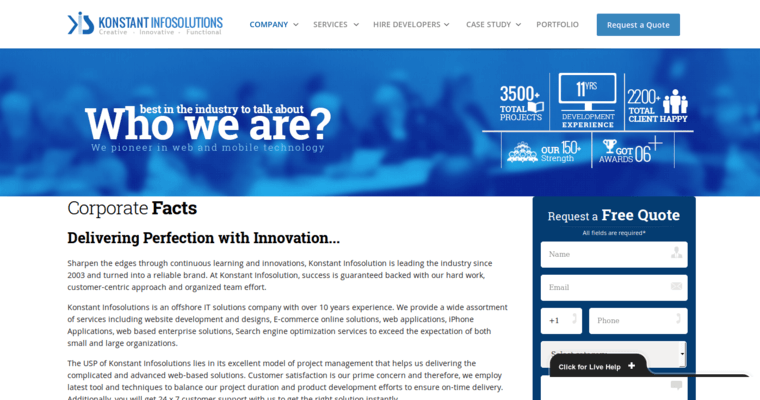 Konstant Infosolutions also prides itself on its development of various tools and techniques to deliver projects and products to clients in a timely fashion. Customer service is one of Konstant Infosolutions's most honored services, and it pledges to offer around-the-clock support to any client for any need. The core management team at Konstant Infosolutions team consists of Manish Jain (director) and Vipin Jain (CEO).